Rob is originally from Rochester, NY but comes to us from our sister station WETM in Elmira, NY. That is where he spent the last year forecasting the weather for the Twin Tiers region of New York and Pennsylvania. Forecasting the weather is his passion, especially during times of severe or winter weather, he is constantly striving to keep viewers updated on social media platforms. 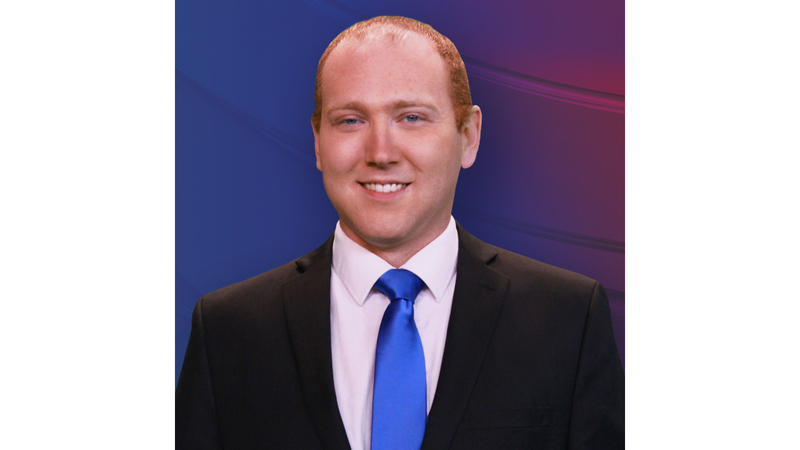 He loves learning new things about the area he now calls home, so if you have any interesting details or facts about the Albany area feel free to send him an email at RLindenmuth@news10.com. Much of his time is spent forecasting the weather and enjoying the scenery, especially during the fall months, however, when he is not busy doing those duties, you can catch him at a local bowling alley, or maybe out on a walk or hike. And during Halloween time, you can find him at many of the local haunted attractions around the region. He enjoys being outside when the weather is nice, mid 70’s some sunshine and low humidity. He tries to spend as much time as he can with his 12 year old golden retriever Buddy and 3 year old cat Binks and you can see many posts about them on his social media, both Facebook and Twitter, simply search for Rob Lindenmuth. He is a fan of traveling, so if you have any ideas where he should take the mobile storm tracker Wednesday through Friday evenings send him an email, he loves seeing new places around the region and is happy to now call the Albany area his home. 4/21/19: Another warm afternoon for Monday, mostly dry too!